I am the first to admit, I do not need one more embossing folder since I have them all practically...until I saw this one. The Country Floral Dynamic Textured Impressions Embossing Folder. A photo just doesn't do it justice, but these flowers burst off the paper as if they were actually alive. We made this simple card at class this weekend. 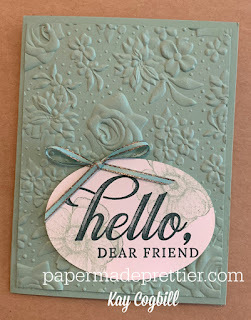 I chose a monochromatic color scheme (mint macaron) to let the embossing folder really take the stage and shine. 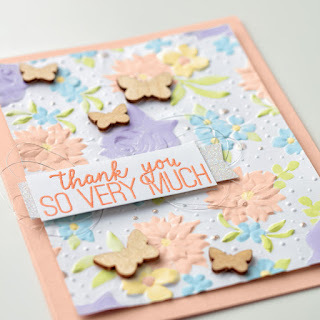 I used the Painted Seasons flower and stamped the sentiment in Tranquil Tide (Life Is Grand stamp set). It's finished off with the Tea Room ribbon combo pack from the 2018-2019 Stampin' Up Annual Catalog with just a hint of sparkle. I will feature projects on my Facebook Live this week (Thursday night) using the embossing folder. Here's the best news. 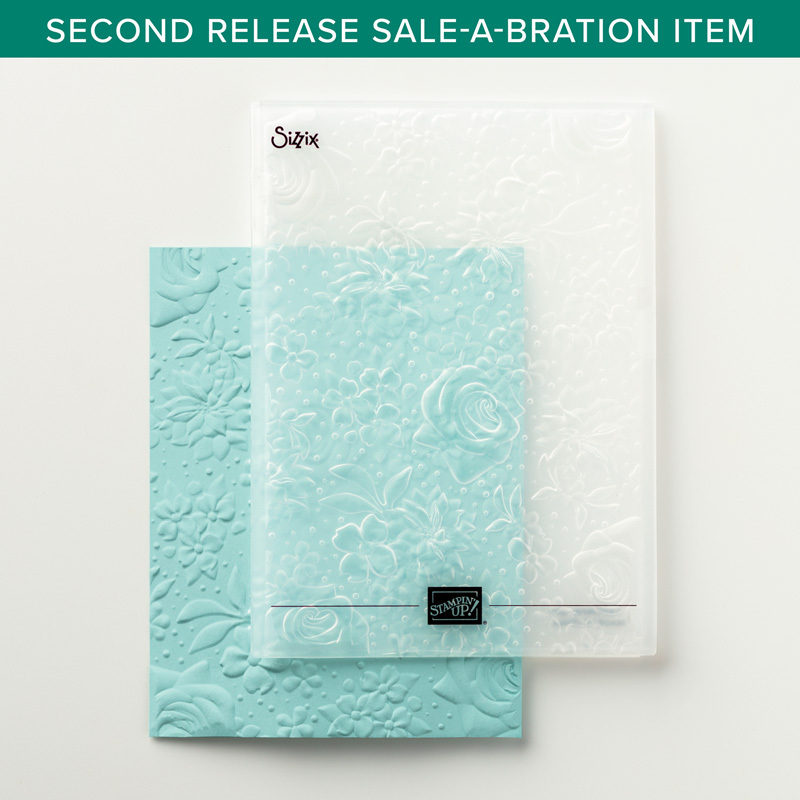 The Country Floral Embossing Folder is FREE with a $50 purchase. I predict it will go on back order, so don't wait around on this must-have.